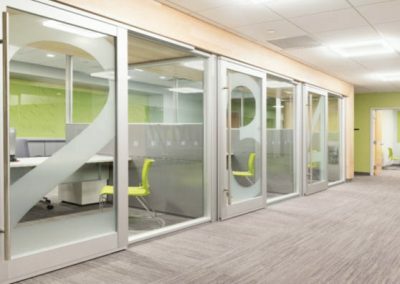 2,000 s/f renovation, carefully coordinated in three phases (using temporary walls and dust control) within active, occupied space for busy student health services office. 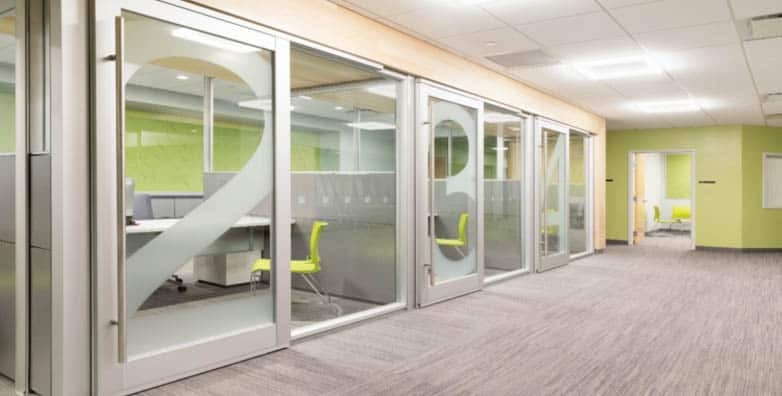 Installation of DIRTT wall system with application of door number window film. Project scope included new check-in stations, self-check-in kiosks, offices, waiting area and reception lounge. 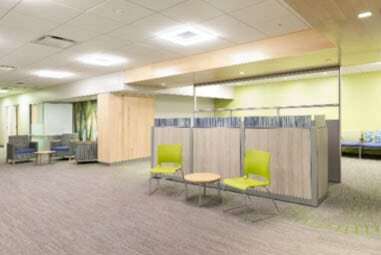 Interior finishes included Lynn Wood detail trim system for soffit framing, low voltage lighting at reception check-in desks, vinyl wall coverings, new paint and carpet, and new entry and corridor windows and door security relocation.